Then install rsub package in Sublime (easiest done with Package Control), and now rsub someFileName command on the remote opens someFileName in Sublime on Mac! Like magic!! No need to mess with FTPS. Just one word of caution.. if you put the Mac to sleep, the “rsubbed” file may become disconnected from the remote, so when you make the first save after resuming work, verify that the changes are indeed saved, or close the file and reopen it from the remote. 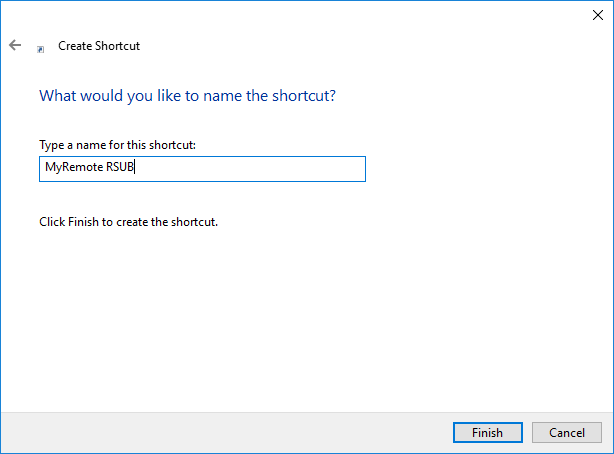 rsub also works with Sublime Text in Windows. The only part of the above setup that differs on Windows is the SSH config since Microsoft’s effort to create a native OpenSSH port for Windows is slow going (“non-production ready pre-release v0.0.17.0” with 161 open issues as of writing of this post). 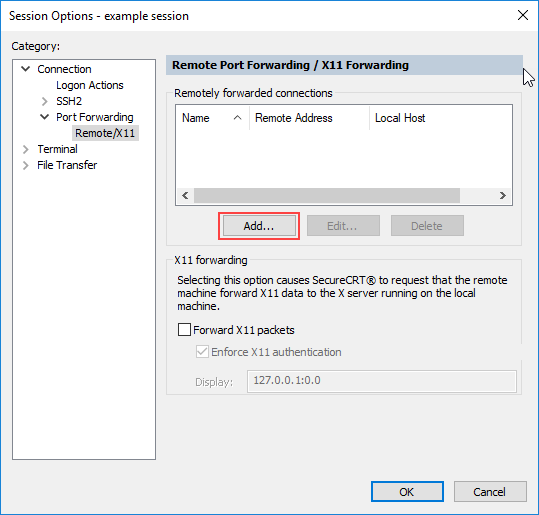 I usually use the excellent commercial SSH client VanDyke’s SecureCRT as the SSH terminal in Windows. I initially thought reverse port forwarding would not be possible in it, but alas, I stand corrected! 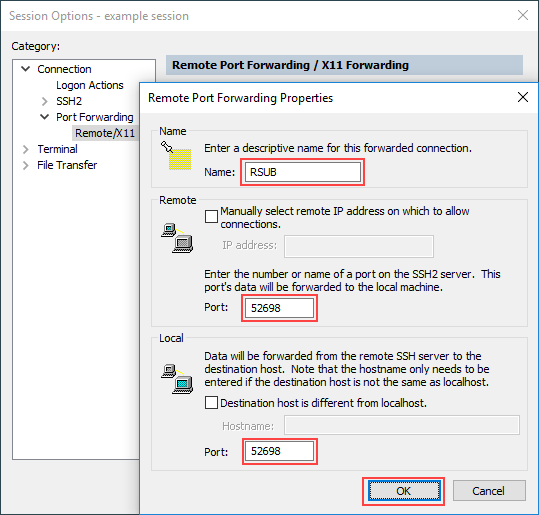 Van Dyke’s always helpful and knowledgeable technical support pointed out how to achieve the desired port forwarding in it (the config section in question was titled: “Port Forwarding – Remote/X11”, and that indeed meant “remote OR X11”, not “remote X11”, as I had read it. 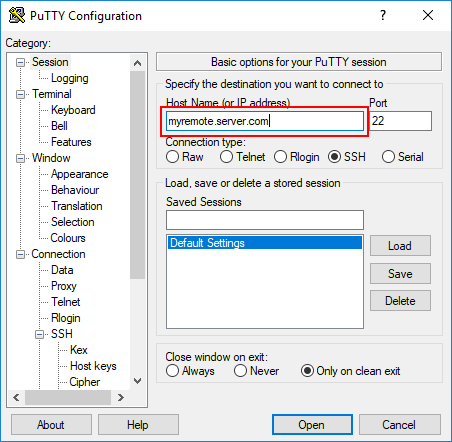 So regardless of whether you use PuTTY (or its derivatives like KiTTY) or SecureCRT, you setting up the port forwarding is a snap. I’ll outline below PuTTY’s setup first, then SecureCRT’s equivalent configuration. Click on it, and it opens a small session window. As long as you keep it open, you can use the rsub command on the remote to open and edit remote files on your local Sublime Text! 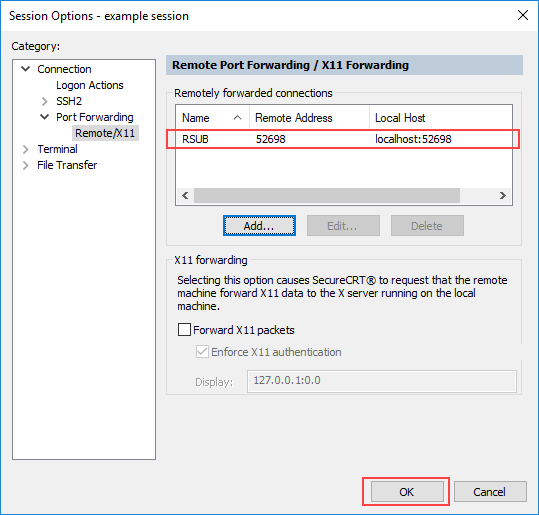 And now you have the rsub port forwarding in place in SecureCRT! Now when you open the session, you automatically have a rsub port open as well, and once you open Sublime Text on Windows, you can proceed to type rsub someFileName on the server, and it opens in Sublime. So far so good (remote editing is working great!). Today I needed to diff an old configuration file against the new one, and the CLI diff output was too tedious to decipher. Then it occurred to me that maybe it would be possible to somehow use my favorite GUI diff utility, Beyond Compare with Sublime — and it is! The only thing to note is that when you open Beyond Compare from the files open in Sublime, you’ll need to save the completed diff first in Beyond Compare, and then in Sublime. Note that the file change indicator doesn’t light up in Sublime even when it has received the changes resulting from the diff reconciliation in Beyond Compare. The changes are received in Sublime when you save them in Beyond Compare, but not saved from Sublime [to the server over rsub] until you explicitly hit save in Sublime. 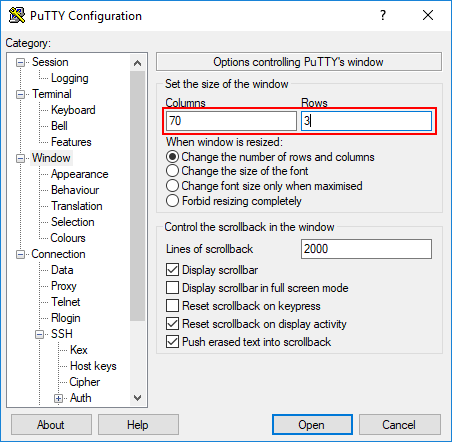 Update 2017-11-07: The article was updated with the latest rsub installation details, and PuTTY configuration instructions were added. 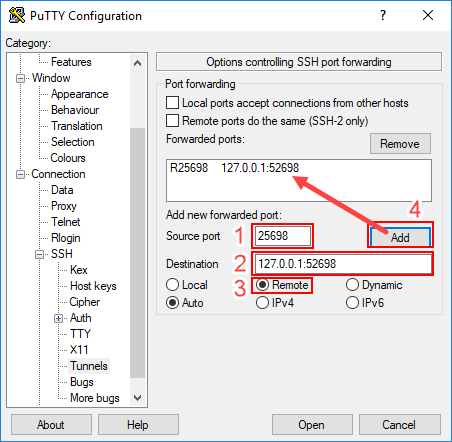 Update 2017-11-09: Van Dyke’s technical support pointed out to me that the reverse port forwarding can be accomplished in SecureCRT as well, so I corrected the article, and added the configuration details for SecureCRT. Update 2017-11-24: I just noticed you can open two files from two different servers (using rsub), or one file from a server, and one file locally, and then compare them with Beyond Compare as described above. So cool! 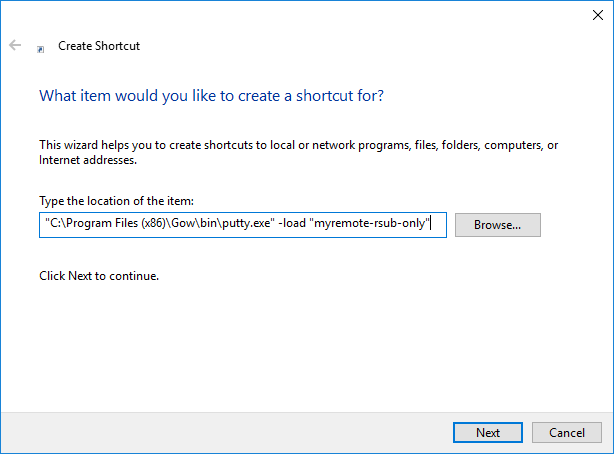 If you set up multiple rsub alternatives like this, you may not want to copy/symlink the rmate executable to /usr/local/bin/rsub as that way you have to use the the port-specific aliased commands instead.